Many ministry sites invite you to support their vision. This collaborative site is different. until there is no place left where Jesus is not preached, known, loved, and worshiped. 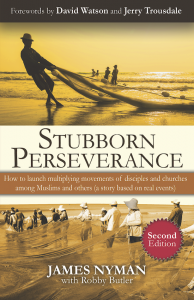 Since 1995, less than 25 years ago, multiplying gospel movements of small, rapidly reproducing churches have brought 68 million to Jesus, mostly among unreached people groups, and equipped these new disciples to share their faith and disciple others. And the pace shows no sign of slowing. Tweet this! If history were a race, and “the good news preached in all the world” was the finish line, how close would we be to the finish line, and how quickly are we racing toward it? At the end of 2017, the goal line suddenly appeared much closer; or at least our rate of progress appeared much faster. As recently as May, 2017, the best estimate for the global count of multiplying movements was just 150. Then, formation of the 24:14 Coalition created a trust environment in which thousands of movement engagements were reported, hundreds of which were already full-scale movements, in which at least four streams were reproducing to the fourth generation or beyond! Just six months later, when the Jan/Feb 2018 issue of Mission Frontiers (MF) went to press in November, 2017 this count had more than quadrupled, to 609 credible movements. There were nearly 650 such movements. 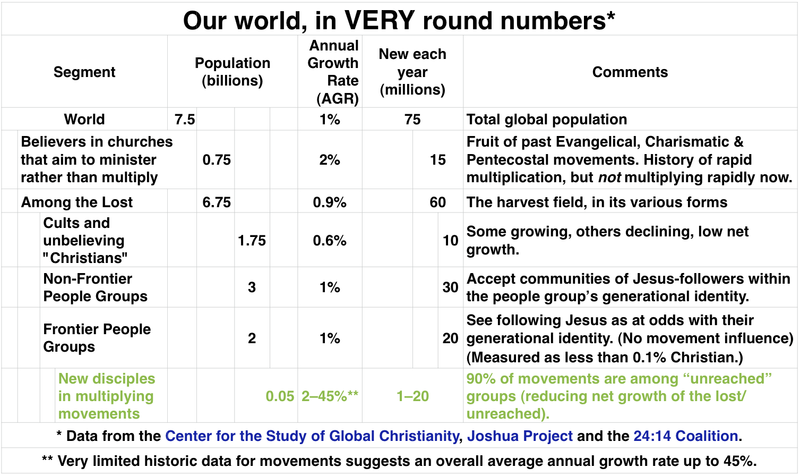 These movements had produced nearly 50 million new disciples since 1995. These new disciples were gathering in small, rapidly multiplying churches. 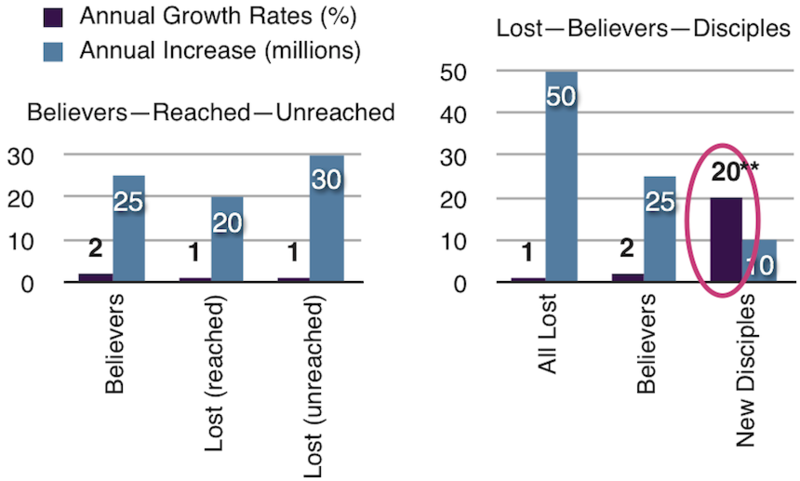 At least 90% of these were among the unreached. 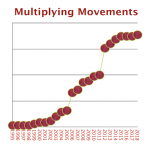 These fruitful movements were multiplying other movements. Such movements start and spread almost invisibly, so the global data is still far from complete. And there are many other reasons to expect continued rapid growth in both movements and our awareness of them. God is rapidly answering 40 years of accumulated prayer for the unreached! Many missionaries came in the past and labored here, but did not see the fruits of their labors. We are now privileged to see this fruit. It already appears that we have at least two believers in nearly 50% of the villages in my country. By 2020 we hope to have at least two believers in every village! Shortly before 2000AD, a remarkable “new” wineskin reappeared for the first time since the early church, hastening the fulfillment of Jesus’ (Matthew 24:14) prophecy: Multiplying movements of rapidly reproducing, small, New Testament churches. are invisible at first to outsiders and the surrounding community (Lk 10:4-7). 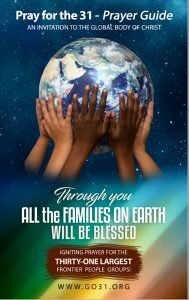 Get the Kindle version free when you buy a print copy from Amazon. Request a free review copy (print, PDF, Kindle, ePub or Word). Let us send you a free copy (your choice of formats).